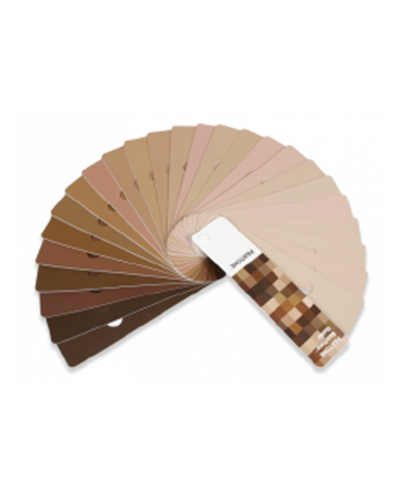 The Pantone Skin Tone Guide features a collection of 110 skin tone shades for inspiration and use in any application where skin tone needs to be matched to a colour standard. The PANTONE Skin Tone Guide was actually created by scientifically measuring thousands of actual skin tones across the full spectrum of human skin types, so the guide is definitely comprehensive. The Guide can be used in the beauty industry for matching cosmetics to skin colours, product design, photography, printing, medicine and in the fashion world. We know that some of you DO take issue with describing FleshTones as one would read a dessert menu (i.e. milk chocolate, cinnamon, caramel etc.). Do you think that the Pantone system could provide some useful guidance for new words to describe FleshTones instead of using food references? Have your say.